According to a new report published in the journal Neurology, being obese or overweight could potentially contribute to the development of certain types of brain tumors. For the study, researchers directed their attention to common primary tumors in adults: glioma and meningioma. 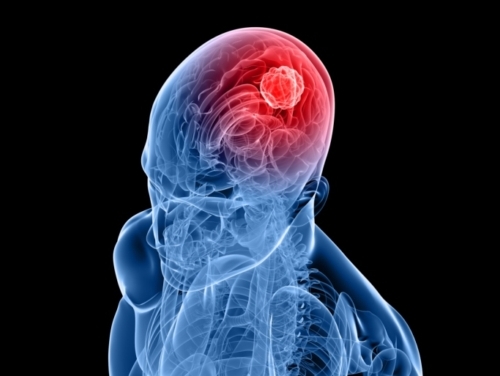 Glioma accounts for about 33% of brain tumors and meningioma accounts for about 30% of brain tumors. The team conducted a meta-analysis of 18 studies. They focused on available data on body mass index (BMI) and physical activity that related to 2,982 meningioma cases and 3,057 glioma cases. Results from the analysis showed that overweight people with a BMI of 25–29.9 were 21% more likely to develop meningioma, and those who had a BMI of 30 or over were 54% more likely to develop meningioma, compared to those who had a normal body weight (BMI below 24.9). They further discovered that those who were the most physically active were 27% less likely to develop meningioma compared to those who had a significantly lower amount of physical activity. According to study author, Gundula Behrens of the University of Regensburg in Germany, this link is an important find because there are only a few known risk factors for meningioma, and most are not within a person’s control. Behrens concludes that despite the analysis associating excess weight and lack of exercise with meningioma, it does not prove that this is the cause. She suggests that those suffering from meningiomas may have reduced their physical activity before the tumor diagnosis. Brazier, Y., “Overweight, Obesity May Increase Brain Tumor Risk,” Medical News Today web site, September 17, 2015; http://www.medicalnewstoday.com/articles/299478.php. Gundula B., et al., “Being overweight may increase risk of type of brain tumor,” Neurology September 16, 2015, doi/10.1212/WNL.0000000000002020.